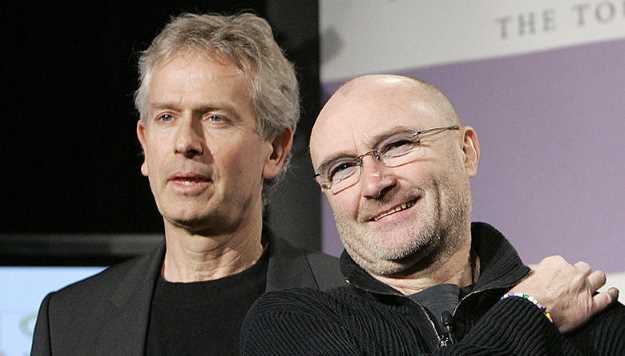 Former Genesis keyboardist Tony Banks says he was so inspired after seeing one of Phil Collin's solo shows recently at London's Royal Albert Hall that he says he would be open to another reunion with Genesis. The former Genesis drummer-turned-frontman Collins returned to performing last year after about six years of retirement due to back problems and other issues. Banks told 91.9 WFKP Louisville this week that he never thought Collins would return to touring. Seeing Phil at the front of the stage again, however, got the keyboardist thinking about being up there with him. "Phil is out there again, which is fantastic...a year or two ago I would have thought he was never going to be out there again," said Banks. "He found a way to do it. It involves quite a static performance, but his voice sounds great, and his music still sounds fantastic and everything." Banks continued, saying the ...And Then There Were Three...(1978)-era Genesis lineup (Banks, Collins and bassist Mike Rutherford) is still close with one another. In fact, with Collins back on tour, all the members of the classic era (or eras, depending on your preference) of Genesis are still active. Rutherford toured and released a new album last year with Mike + the Mechanics. Guitarist Steve Hackett released a new solo album, The Night Siren, last year and is on tour performing much of Genesis' Wind & Wuthering album in 2018. Banks has a solo album called Five due out February 2.